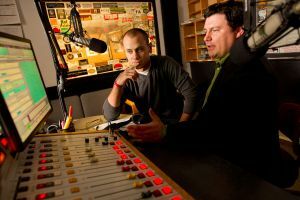 Goshen College Assistant Professor of Communication Jason Samuel (right) and senior Benjamin Kelly (left) work together in the studios of 91.1 The Globe, the college’s student-operated radio station. 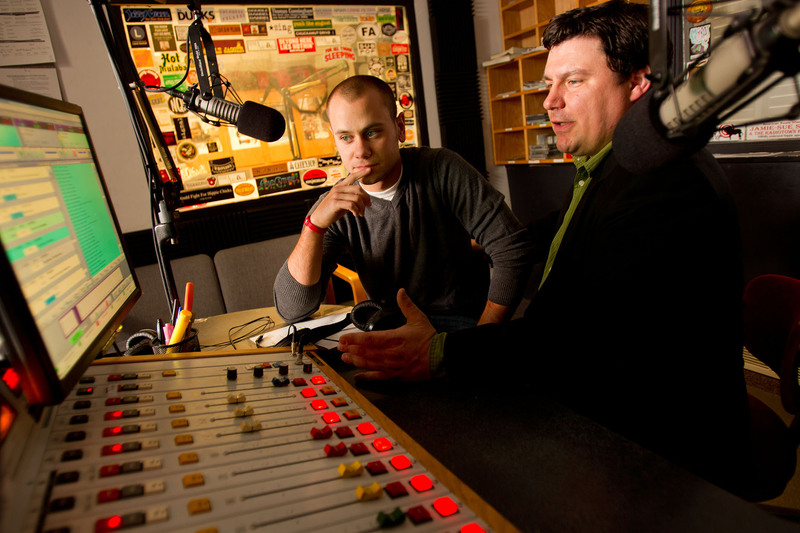 Goshen College’s student-operated radio station WGCS 91.1 The Globe (www.globeradio.org) just added two more huge accomplishments to its growing list: 2013 Best College Station in the Nation and Indiana’s Radio School of the Year. 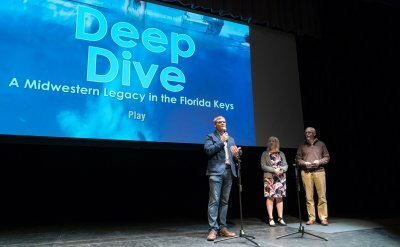 This is the second time the college radio station has received the top national award in three years from the Intercollegiate Broadcasting System (IBS), making it the first college to be a repeat winner in the competition, which is against every college and university in the country of every size. Last year, the station was a runner-up for the top award. The station’s General Manager Jason Samuel and a group of his students who work at the station were on hand to win the award at the 73rd Annual Conference of the IBS in New York City on March 2. The Globe beat out two other finalists for the top award: William Patterson University (enrollment: 11,400 students) and DePaul University (enrollment: 25,000 students). In addition, students won six national awards and were finalists in 20 categories. 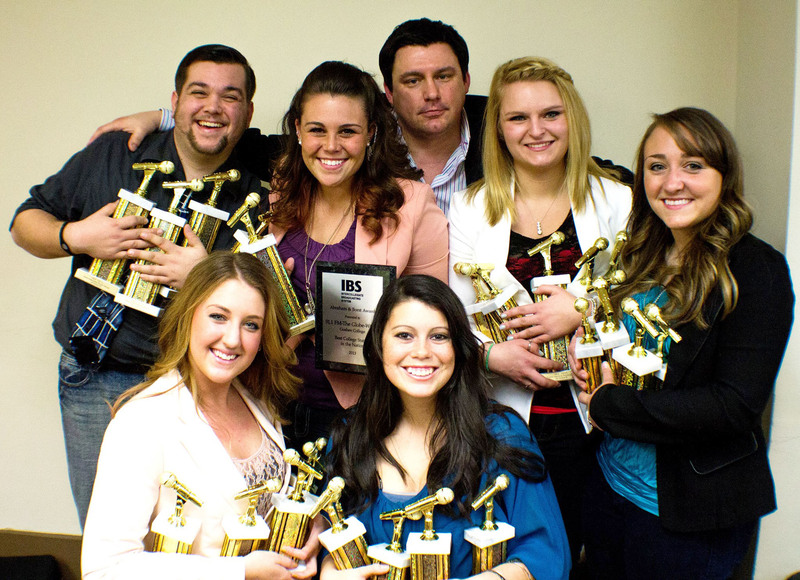 IBS is the oldest college radio association in the country. “I honestly thought we’d never win again, but they told us that the most significant factor separating WGCS from the other radio stations is our community involvement,” said Samuel, an assistant professor of communication. 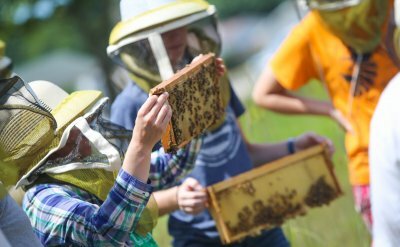 “We’re doing the best we can and it feels great to have others recognize our hard work.” The Globe’s community involvements include hosting a blood drive, airing local high school events, partnering with Ignition Garage to bring artists for local concerts and helping with Downtown Goshen’s First Fridays. 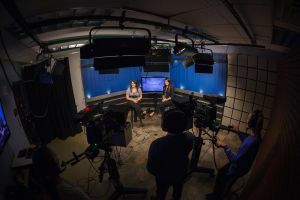 Goshen College students are in front of and behind the cameras during a February 2013 taping of The Correspondent, the college’s bi-weekly television news broadcast, which is produced by students and distributed via the campus cable system and the Internet. And just a few weeks earlier on Feb. 15, for the second consecutive year, Goshen College earned the state titles of both Radio School of the Year and Television School of the Year in the 2013 Indiana Association of School Broadcasting’s (IASB) college broadcasting competition. Last year, the college was the first school in the IASB competition to win the School of the Year awards in both radio and television in the same academic year, and in doing so, Goshen became only the second school ever to win the award in both categories since the first awards were given in 2005. Goshen College broadcasting students also won 22 other radio and television awards in the competition, including six first-place awards. The Correspondent is the college’s bi-weekly television news broadcast produced by Goshen College students and distributed via the campus cable system and the Internet. Assistant Professor of Communication Seth Conley is the adviser for The Correspondent. Goshen College’s student-operated radio station WGCS 91.1 The Globe (www.globeradio.org) just won 2013 Best College Station in the Nation and Indiana’s Radio School of the Year. 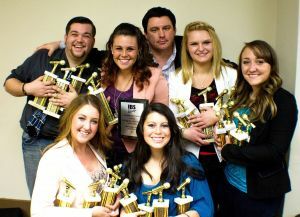 Station General Manager and Assistant Professor of Communication Jason Samuel (back) and students (front) Samantha Danforth, Maria Bischoff, (middle) Jim O’Day, Kelsey James, Ashley Davenport and Danielle Kerschhackl hold their national awards in New York City on March 2. 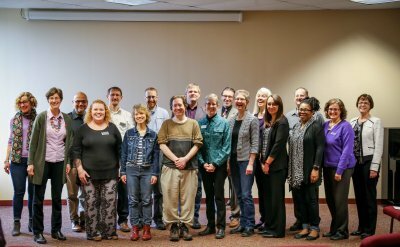 The Globe has been on the air since 1958, is managed by members of the Goshen College Communication Department and is staffed by about 40 student workers and community volunteers. Each week The Globe features a fresh and eclectic mix of Americana, alternative acoustic, folk, singer-songwriters and world beat music. The Globe is one of a select number of reporting stations to the Americana Airplay Chart. It provides 24-hour programming, which includes music, news, public affairs and sports.